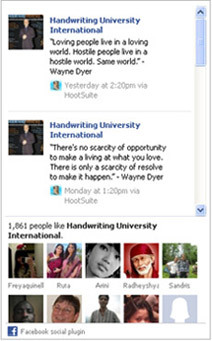 tele-classes Archives – Handwriting University: Learn Handwriting Analysis and Graphology. Members Only Live Class Schedule for handwriting analysis tutoring class. Here are the upcoming dates for the Silver/Gold membership tele-classes. This schedule will be updated with new tele-class dates. Please confirm you are a paid “good status” member and join us this month live on the phone calls or via our live webcast stream. Any questions about your membership status, call our customer support center. Remember, all tele-classes are saved and available up to 3 months to listen to any class you may have missed. Gold & Silver Members, please log-in to view this content, or scroll down to see how you can attend. 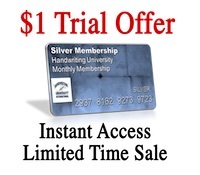 March 25th For Silver Member’s Only – Become a member for just $7 a month. $1 free trial now active. Attend a basic webinar on your schedule throughout the month -free to the public. Attend a Webinar on your schedule. Copyright © 2019 Handwriting University: Learn Handwriting Analysis and Graphology.. Powered by WordPress and Stargazer.